BS in Irrigation and reclamation engineering, Tabriz University, Iran (1987). Asadi, M.E., and Clemente, R.S.2001. Simulation of maize yield and N uptake under tropical conditions with the CERES- Maize model. Tropical Agriculture (Trinidad) 78(4): 211-217. Asadi, M.E., Clemente, R.S., Gupta, A.D., Loof, R., and Hansen, G.K. 2002. Impacts of fertigation via sprinkler irrigation on nitrate leaching and corn yield on an acid – sulphate soil in Thailand. Agricultural Water Management 52(3): 197-213. Clemente, R.S., Asadi, M.E., and Shrestha, S.L.2002. Application of PESTFADE to simulate nitrate leaching in a fertigated corn field in Thailand. Canadian Water Resources Journal 27(1):1-24. Asadi, M.E., and Clemente, R.S. 2003. Evaluation of CERES-Maize of DSSAT model to simulate nitrate leaching, yield and soil moisture content under tropical conditions. Journal of Food, Agriculture & Environment 1(3&4): 270-276. Asadi, M.E., 2005. Effects of global climate change on water resources. Journal of Agricultural Meteorology 60(5): 637-640. Clemente, R. S., Asadi, M.E., and Dixit, P. N., 2005. Assessment and comparison of three crop growth models under tropical climate conditions. Journal of Food, Agriculture & Environment 3 (2): 254-261. Gheysari, M., Mirlatifi, S.M., Homaee, M., Asadi, M.E., and Hoogenboom, G. 2009. Nitrate Leaching in a Silage Maize Field under Different Irrigation and Nitrogen Fertilizer Rates. Agricultural Water Management. 96 (6): 946-954. Mokhtarpour, H., Teh, CBS., Saleh, G., Selamat, A.B., Asadi, M. E., Kamkar, B. 2010. Non-destructive estimation of maize leaf area, fresh weight, and dry weight using leaf length and leaf width. Communications in Biometry and Crop Science (CBCS) Vol. 5 (1): 19–26. Mokhtarpour, H., Teh, CBS., Saleh, G., Selamat, A.B., Asadi, M. E., Kamkar, B. 2011. Corn yield response to crowding stress and cropping season. Archives of Agronomy and Soil Science. Vol. 57 (8): 853-871. 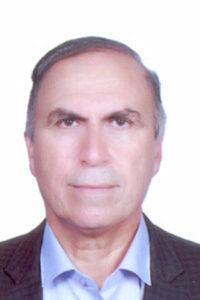 Ebrahimi, M., M. E. Asadi., M. Manshori., F. Kaveh and A. Afrous. 2011. Effect of nitrogen fertigation via two methods of sprinkler and furrow irrigation under different levels of fertilizers on yield and yield components of sweet corn. World Applied Sciences Journal 13 (4): 706-711. Feyzbakhsh, M.T., Kamkar, B., Mokhtarpour, H., and Asadi, M. E. 2015. Effect of soil water management and different sowing dates on maize yield and water use efficiency under drip irrigation system. Archives of Agronomy and Soil Science. Vol. 61(11): 1581-1592. Shahrinezhad, S., Asadi, M. E., and Tohidloo, G. 2015. Effect of Various Tillage Systems on Viability, Germination, Establishment and Yield of Wheat. Journal of Research in Applied sciences. Vol. 2(4): 108-118. Outstanding soil and water researcher, Ministry of Agriculture of Iran (1996). Outstanding Research on conservation agriculture, Iran (2016). SCHOOL OF ENGINEERING & TECHNOLOGY.